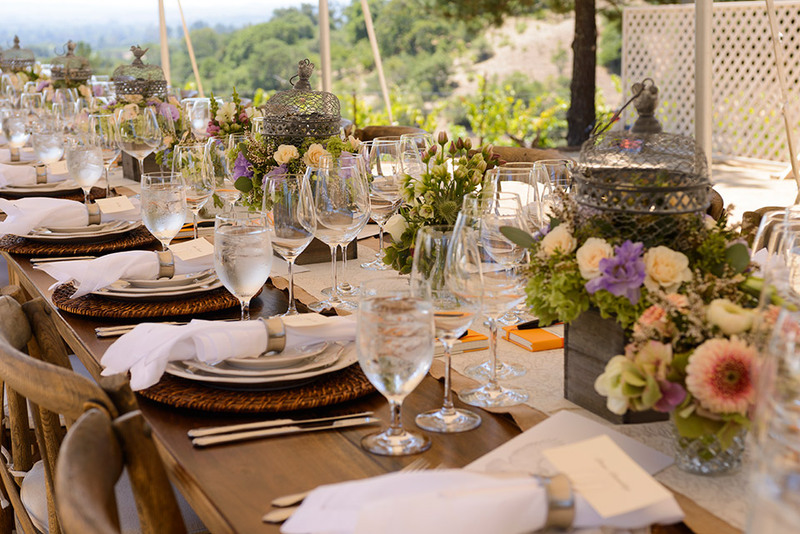 Did you know that wine tasting & floral design go hand-in-hand? I learned that this weekend as Pam Bell from Dragonfly Floral patiently coached a group of twenty visitors through the design of a Mother’s Day bouquet, while Pete from Notre Vue Estate refilled our wine glasses with exquisite tastings of Rosé, Sauvignon Blanc, and a white blend. Sitting on the tasting deck, overlooking the pond swimming with geese and goslings, we learned how to trim, set, and arrange our flowers. What does “sur lies” aging really means? What is “malolactic fermentation”? Do you know that there is methoxypyrazine in your Merlot? What glue is used to hold barrel staves together? Where does the color of a red wine come from? Hint: Not the juice! What a night! We celebrated Valentine’s Day with a night of romantically inspired dishes paired with our Estate wines, prepared by renowned Chef Austin Perkins. Photos from our Harvest Celebration Dinner at Notre Vue Estate Winery & Vineyards. We were fortunate to have such ideal weather as we dined lakeside enjoying Chef Brian Anderson’s deliciously prepared four course meal paired perfectly with our estate wines. Harvest is an exciting time for all of us in the winemaking biz. Yes, it means long, tiring days (and nights) but it also means we’re about to start another vintage and that is a wonderful thing! We would love to share with you, our awe-inspiring setting by the lake. Join us for a private tasting or lakeside picnic. On Sunday, August 13, Notre Vue Estate Winery & Vineyard will open its gates for guests to hike and bike along private trails that wind through its vineyards and “Forever Wild” Open Space. 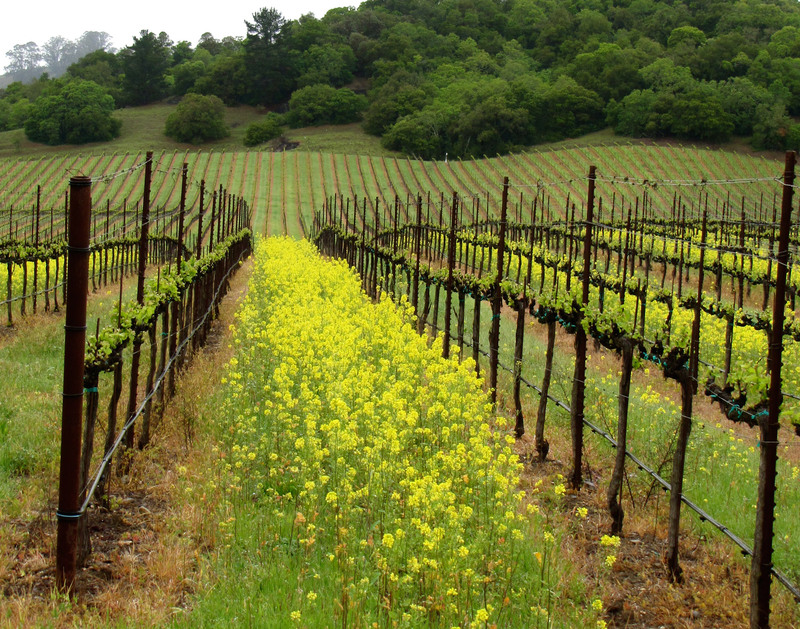 Wild mustard flowers run free along the vast, lavish vineyards at Windsor Oaks Vineyards & Winery. Located in Sonoma County, in the foothills overlooking the Russian River Valley, the entire property is in excess of 700 acres, of which approximately 350 acres have been deeded to the Sonoma County Open Space District and are designated “Forever Wild”. After an early and exciting start, with the Chardonnay and Pinot Noir coming in at the same time, things have slowed down a bit.